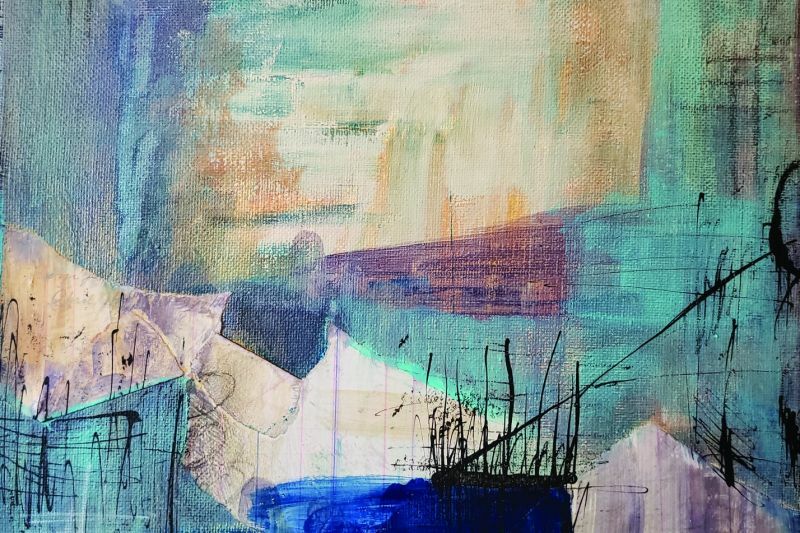 Local mixed media artist KellyAnne Terry’s abstract paintings will be on display for the month of April in the LAC's Margie Wilkins Gallery. Described as “a form of literary art,” these compositions are a reflection of the past, far-flung destinations, discovery, and historic writings. Working primarily in acrylic, Terry uses vintage papers, antique ephemera and out-of-print books to tell a story in her work. Terry grew up on a horse ranch in North Central Montana and is inspired by the natural world, travel, sketchbooks/notebooks of early explorers and historic figures, flea markets, and most of all, the written word.